Following a heady release and even headier popularity, Apex Legends is now about to have its first $200K tournament co-hosted by Twitch and Electronic Arts (EA). Twitch is going to hold the first tournament for Electronic Arts (EA) Games’ now popular battle royale game, Apex Legends. A game inspired by the Titanfall series, Apex Legends was released only 3 das ago, but the game already boasts impassive numbers with 10 million unique players and 1 million concurrent users playing at peak time. 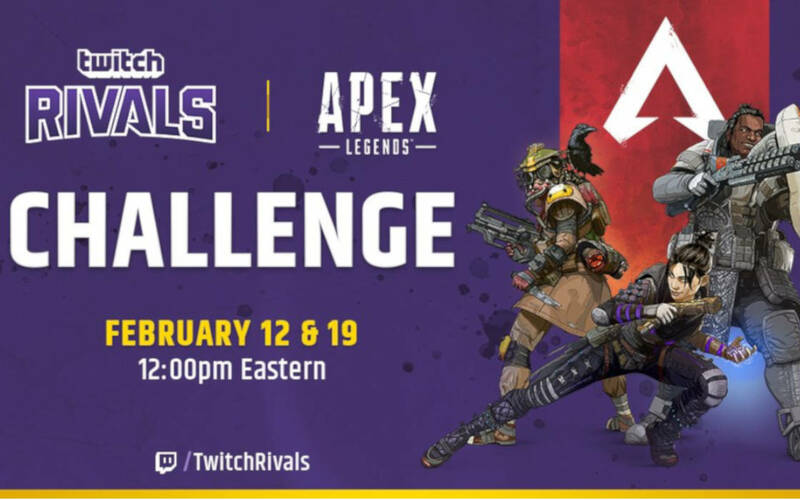 To raise its profile, the game will be part of the Twitch Rivals program, inviting famous streamers to join two independent $100K Challenges. The events will be held in two regions, to name North America and EMEA (Europe, Middle East, and Africa). The tournaments will be played between February 12 and February 19. The event is a bit rushed up, with participating teams invited to participate in an all-out melee. A total of 16 teams (of 3 members each) will be trying to amass the most points during a four-hour gaming session. Apex Legends monetization system has been the reason for some concern among players, but apparently no serious issue has been found with it, as the game soared past the 10M-mark in terms of player base under 72 hours. Apex Legends appeal may just prove irresistible enough for some users to overlook EA Games’ reportedly cherished the buck more so than the player base. Twitch announced a $200K first tournament for Respawn Entertainment's battle royale Apex Legends. The event is taking place on February 12 through February 19. Simona Potter is a talented artist with affinity for words, writing and thankfully for us - video games & esports. She likes to dabble in all sorts of hobbies, but above all else - she values exploring mobile games. Brawl Stars has proven quite the hit in her personal list of titles. When not reducing enemies to pixelated pulp, she's helping us bring our content up to scratch.